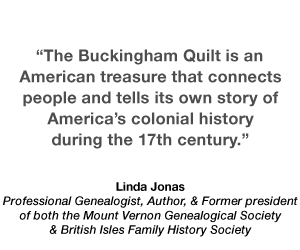 Professional Genealogist, Author, and former president of both the Mount Vernon Genealogical Society & British Isles Family History Society - U.S.A. 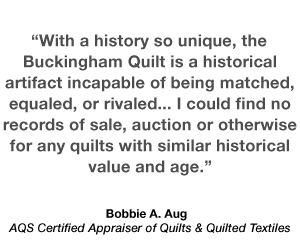 Content and images used with permission from the owner of The Buckingham Quilt, 8th Great Grandson of Rev. 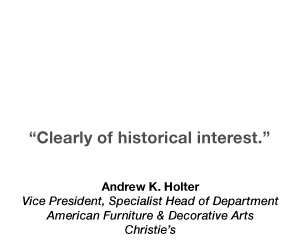 Thomas and Mrs. Hester Hosmer Buckingham.